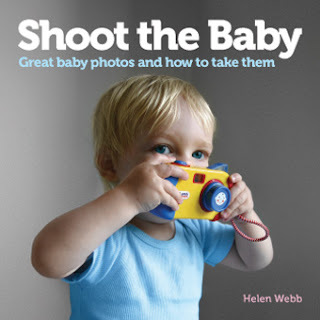 Mummy Alarm Competition: Win 2 copies of ‘Shoot the Baby"
Shoot the Baby is a beautifully presented book offering advice on how to take great photos of babies and toddlers – and we have two copies to give away. Ideal for the amateur photographer, it is packed with tips, advice and composition ideas, presented in a light-hearted style to help parents to capture the best of those precious first years. Shoot the Baby bridges the gap between novice photographer and keen hobbyist – a market which hasn’t been addressed by photography books to date. The advice and ideas in the book work with a full range of cameras from mobile phone to digital SLR. No additional expensive equipment is required to take advantage of the tips to create stunning baby photos. The book is split into two key sections: top tips and composition ideas – with beautiful images used throughout. The tips are written succinctly in list format and cover a range of topics such as planning, lighting, props and how to encourage a winning smile. The second half of the book – ‘The Subject Matters’ – gives fully illustrated ideas for suggested shots and key milestones to capture such as the first haircut, tooth, birthday, Christmas – and shoes. Shoot the Baby’s humorous style and winning images mean it can be enjoyed by anyone who loves children; photographers and non-photographers alike. Published by Vero Press, Shoot the Baby is available on www.amazon.co.uk and www.shootthebaby.co.uk at a cost of £12.99. 1. If you were a paparazzi, which celebrity would you like to take a picture of and why? 3. Leave a comment on a non-competition blog post and tell me which post you commented on. Sounds like a great book. I would love to take pictures of James McAvoy, my current crush! Hmmmm who would I want to take a picture of?? Probably Angelina Joelie just because shes so damn gorgeous ALL the time! I am subscribed to Mummy Alarm's RSS Feed. Commented on "My Fight against the Formula Mafia ". Loved the article- thank you so much! Probably someone like Cheryl Cole as she's so pretty surely I couldn't take a bad photo of her?! Johnny Depp – do I really need to explain why???!!! Catherine……telling the world she is going to become a mum…..what a scoop! I'd take a picture of Jenson Button to prove hes not related. Ralph Fiennes. He's played some great characters. I'd pap Daniel Craig because he's double 'Oh' Heaven! The Beckham's new baby girl – it would be worth a fortune!